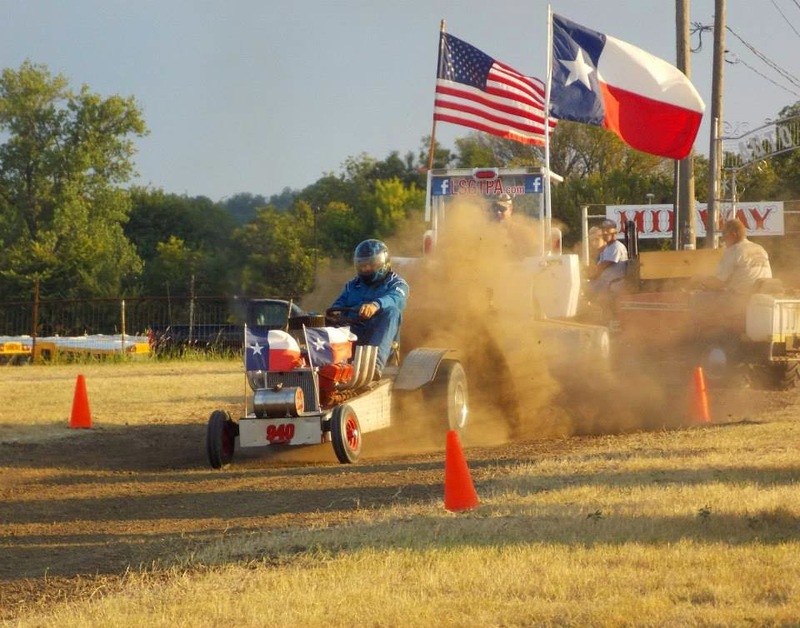 The LSGTPA tractor pulling teams rolled into the oldest town in Johnson County, as the eighth stop on the 2014 pulling schedule featured an event in Alvarado, Texas. Alvarado was first surveyed around 1841, and was organized into town lots by 1851. The settlement grew with the development of the intersection between the Gulf-Colorado-Santa Fe, and the Missouri-Kansas-Texas railroads. The town became a popular destination for commerce and celebration. In 1893, the Johnson County Pioneers & Old Settlers Association was formed, and with assistance from John James, the Reunion Grounds were developed as a community property for gatherings and events. It is upon this site, that the LSGTPA drivers and machines gathered to compete in two rounds of tractor pulling action. Payton Le'ann Alaniz performs the National Anthem during opening ceremonies of the LSGTPA event in Alvarado. Opening ceremonies included an outstanding National Anthem performance, by the talented Payton Le'ann Alaniz. The Youth Class competitors then took stage, as Jared Stephan pulled to a victory aboard his 'Iron Head' machine. Mason Hovind piloted his 'Yes Deere' entry to the runnerup position, and Lane Duncan drove the 'Texas T-Rex' tractor into the third spot. Kody Langham placed the BSC entry into the fourth place, while Jared Stephan rode the 'Rusteze' machine into the fifth spot. Kody Langham hangs on to his BSC sponsored tractor during the LSGTPA tractor pull in Alvarado, Texas. In Stock Class, Aidan Hovind placed the 'Yes Deere' entry at the front of the pack, with Kolby Langham scoring the runnerup. 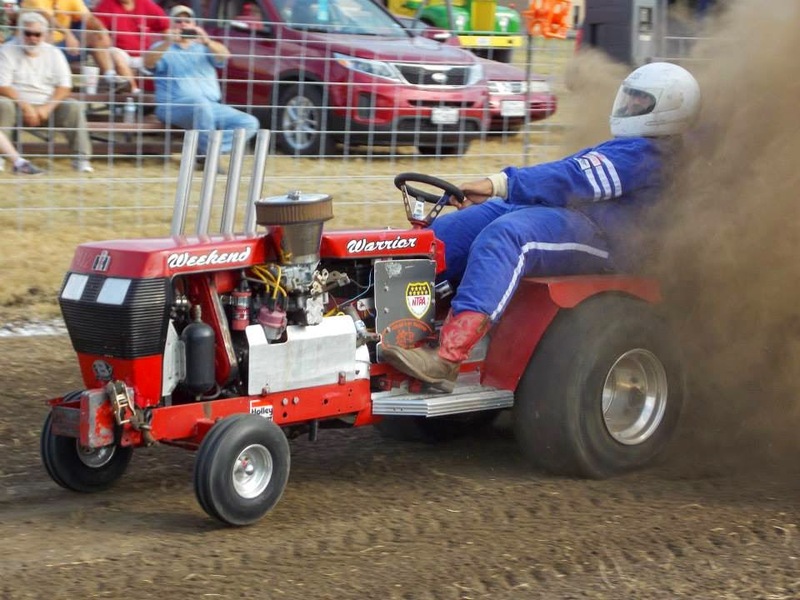 Claude Lewis finished with a third and fourth place pull, aboard his machines, with Aidan Hovind returning to score a fifth place finish aboard the 'Rusteze' tractor. In Stock Diesel, Ken Langham used a Full Pull on the 200 foot track, to score the win, with Steve Hovind finishing in the runnerup spot aboard his 'Mean Green Pulling Team' John Deere. In Big Stock, John Aufdenkamp took first place aboard his 'Outlaw Pulling' entry. Alex Jesko scored a runnerup finish, with Kolby Langham riding 'Texas Thunder' to a third place pull. Jerry Toland took his 'Triple Deuce' machine to fourth, while Alton Degner scored a top five finish aboard his 'It'll Do' tractor. Aidan Hovind finishes off a great pull, during the LSGTPA event at the Pioneers and Old Settlers Reunion Grounds in Alvarado. Stock Altered tractors were led by Ken Langham, Sr. with a Full Pull, with Alex Jesko scoring the runnerup. John Aufdenkamp placed third and Stan Williams scored a fourth place finish. Motorcycle Class tractors featured a two tractor shootout, with Steve Pierce aboard 'Buzzards Roost' taking the win. Paul Smith piloted his 'Texan' tractor to the runnerup finish. Paul Smith returned with his 'Texan' tractor, to take the victory in the Outlaw Class, with Stan Williams scoring the runnerup finish. Jerry Toland powers the 'Triple Deuce' machine downtrack in Alvarado. The Mini Rod Class tractors put on a great show, with Colby Crowe scoring a win aboard his 'Weekend Warrior' machine. Jerry Toland place his 'Shinin Time' tractor in the runnerup spot, with David Houchen riding his 'Back In The Day' machine to a third place finish. Sarah Moody, aboard her turbocharged diesel tractor, pulled to the fourth place position. The Super Rod Class tractors closed the show, with a series of wild pulls. After the dust had cleared, Thomas Kimmons held the top spot aboard 'Fired Up', with Ken Langham Sr. scoring the runnerup finish. Donny Mayo turned in a third place finish, aboard his six cylinder 'Blackfoot Squaw' tractor. Randell Moody drove the 'Ridge Runner' tractor to fourth place, with John Kiemele and the 'Dodge This' tractor taking a top five finish. Colby Crowe and his 'Weekend Warrior' tractor at work, at the LSGTPA event in Alvarado. Sarah Moody aboard the '99% Moody' turbocharged tractor, on a strong pull in Alvarado. Ken Langham carries the LSGTPA sled downtrack at the Pioneers and Old Settlers Reunion Grounds tractor pull in Alvarado. Jared Stephan pilots his 'Iron Head' tractor during the Youth Class of the LSGTPA event in Alvarado. Lane Duncan and his 'Texas T-Rex' LSGTPA Youth Class tractor finish of a good pull in Alvarado. 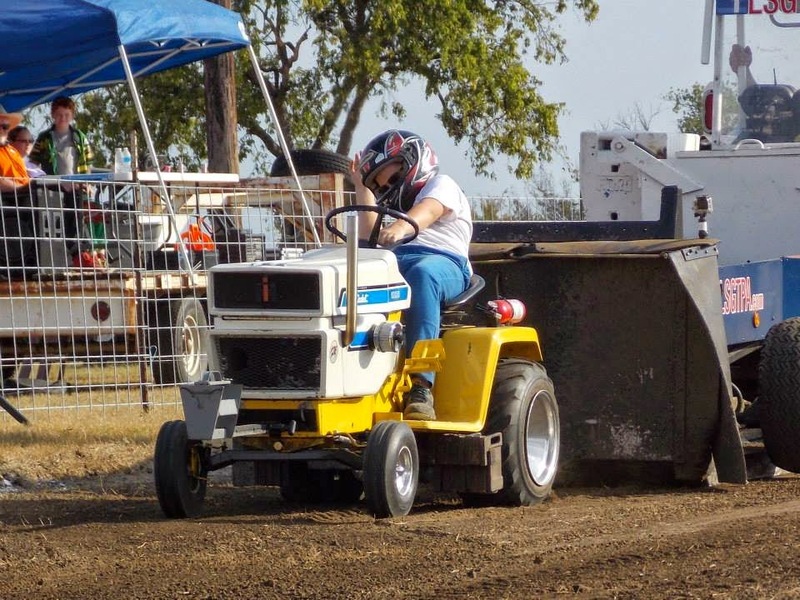 The Lone Star Garden Tractor Pulling Teams are preparing for the second event, of a five-in-a-row series to finish the 2014 pulling season. Having pulled at the Bartlett Old Town Festival this previous weekend, the teams will perform maintenance on their machines to prepare for Saturday's event. 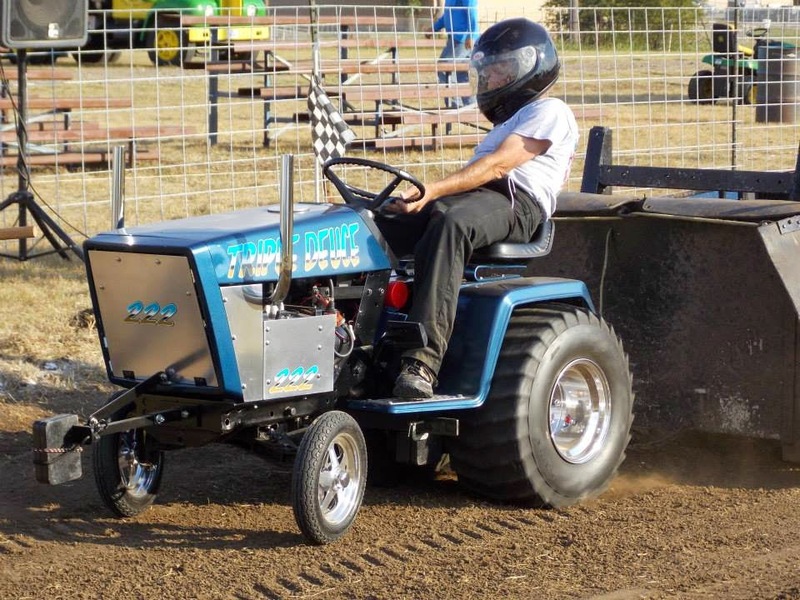 The Johnson County Antique Tractor Pull and Show will host the LSGTPA teams, in two rounds of tractor pulling action. The event is scheduled for a 2pm start, following the antique show and pull portion of the program. 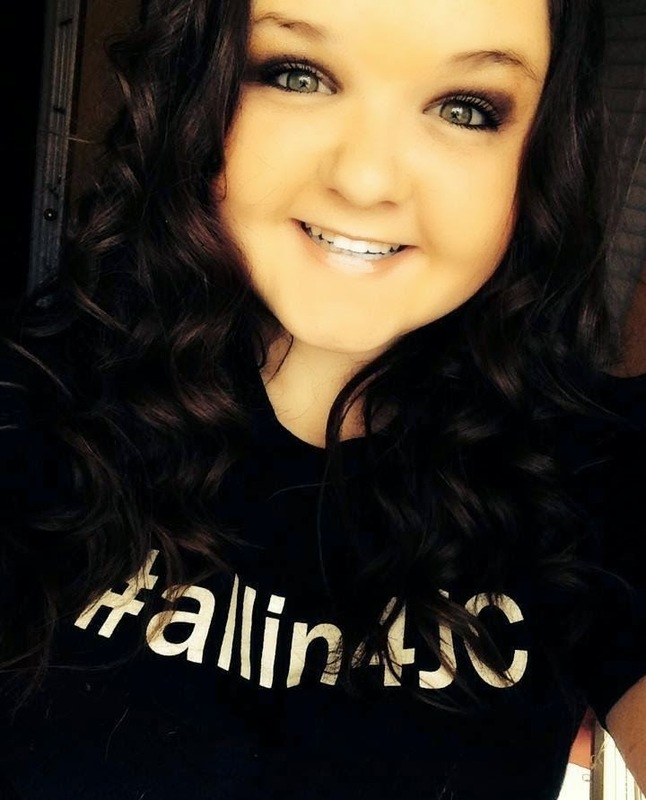 Opening ceremonies will feature our National Anthem performance, by Payton Le'Ann Alaniz. John Kiemele and 'Dodge This' will be among the LSGTPA pulling teams in Alvarado. 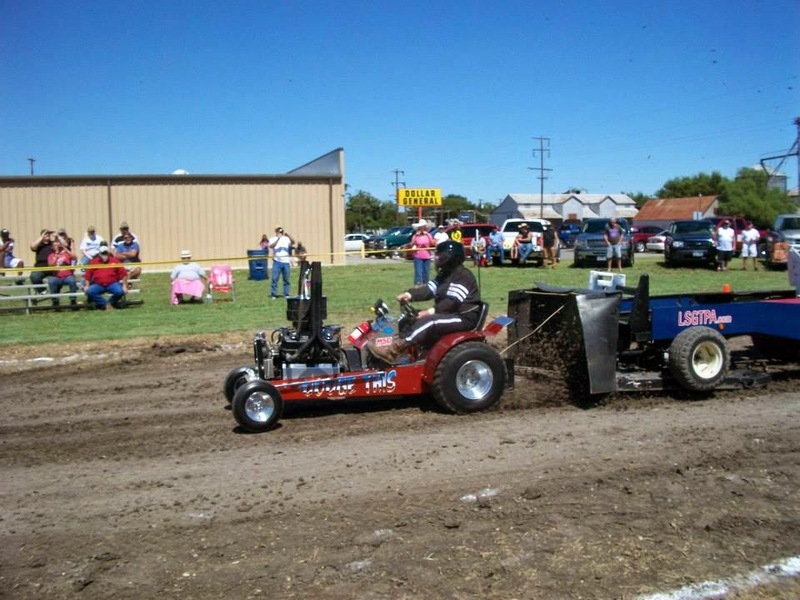 The LSGTPA tractor pulling machines will provide plenty of wheels up action in Alvarado on Saturday, September 27. 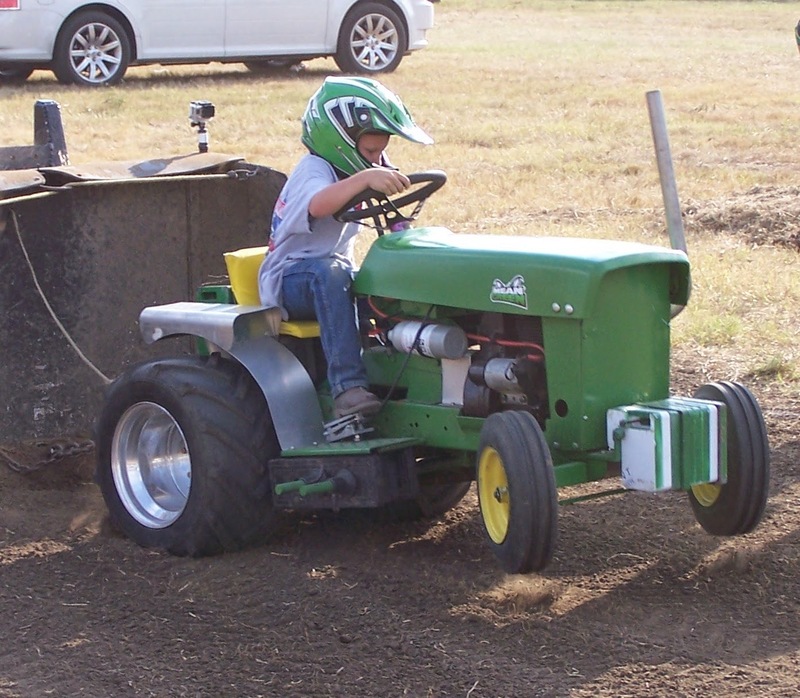 Lane Duncan and his 'Texas T-Rex' Youth Class tractor, plans to compete in Alvarado. Payton Le'ann Alaniz will be performing the National Anthem during the LSGTPA opening ceremonies at 2pm. A community of settlers within the Texas Blackland Prairie region, organized on land provided by John T. Barlett, and established the town of Bartlett, Texas in 1881. Cotton flourished in the area, producing record crops in the rich blackland soil. 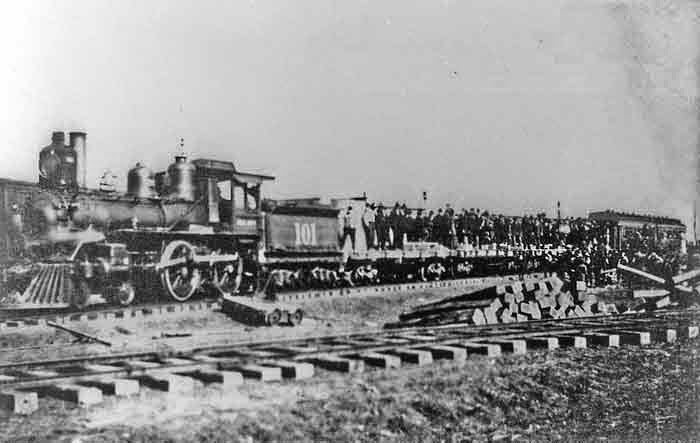 The challenge of transporting the cotton, was met with the forming of Bartlett as a stop on the MKT Railroad, and with the operation of the storied Bartlett Western Railroad from 1909-1935. It would be along the historic railroad tracks, that the LSGTPA tractor pulling teams would explore the challenges of blackland transportation, during the Old Town Festival Tractor Pull. The blackland track site had been exposed to more than three inches of rain, during the days before the event. On pull day, the track possessed the moisture content, which allows blackland to become very sticky. Brief showers throughout the pull, however, added another variable to the mix. As farmers in the area would know, blackland can also become very slick, with added moisture on a hard packed surface. It would indeed be a tricky track, which would provide plenty of action througout the day. The Youth Class pullers would be the first class to hook to the LSGTPA sled, and Kody Langham would lead the pack with a first place finish. Jared Stephan would pilot his 'Iron Head' machine to the runnerup position, with Lane Duncan steering his 'Texas T-Rex' to the third place spot. Mason Hovind would finish in the fourth position, abaord the 'Yes Deere' tractor. In Stock Class, Kolby Langham took the top honors, with Claude Lewis finishing second and third aboard his two tractors. 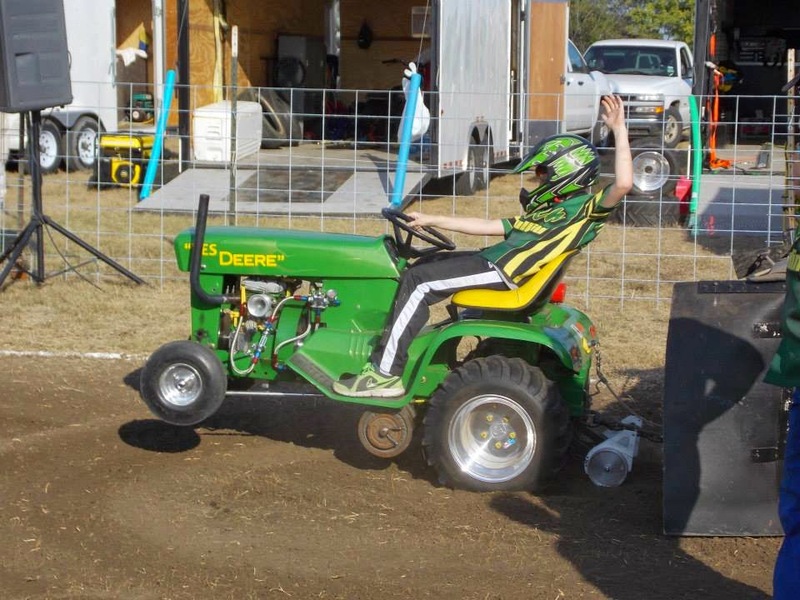 Aidan Hovind scored a fourth place finish aboard the 'Yes Deere' entry. Stock Diesel featured a two tractor pull off, with Steve Hovind scoring the victory and Ken Langham Jr, scoring the runnerup finish. In the Big Stock Class, it was the Kolby Langham show taking center stage. Langham scored the first Full Pull of the day, aboard his 'Texas Thunder' tractor, to score the win. Jerry Toland drove his 'Triple Deuce' to the runnerup finish, with Alton Degner placing third aboard 'It'll Do'. In Stock Altered, Ken Langham Sr, scored the victory, with Michael Mayberry and his 'Pulling for Peanuts' machine finishing in the runnerup spot. The Motorcycle Class category featured a Full Pull by Paul Smith, aboard his 'Texan' tractor, scoring the win. Steve Pierce piloted his 'Buzzards Roost' machine, to a clutch wounding runnerup finish. Paul Smith returned to the track, to take the victory in the Outlaw Class, aboard his 'Texan' tractor. Kolby Langham pilots 'Texas Thunder' to a Full Pull and to a win at Bartlett. Jerry Toland aboard his 'Triple Deuce' tractor at the Old Town Festival LSGTPA event. The Mini Rods put on a great show, with David Houchen taking the win aboard his ' Back In The Day' tractor. Sarah Moody piloted her '99% Moody', turbocharged diesel entry, to the runnerup position. Colby Crowe took the 'Weekend Warrior' machine to the third place position, with Jerry Toland driving the 'Shinin Time' tractor to the fourth spot. Steve Pierce and the 'Buzzards Roost' tractor at work in Bartlett. 'Back In The Day' launches downtrack with David Houchen at the wheel in Bartlett. Sarah Moody rolls coal aboard '99% Moody' in Bartlett, Texas. The Super Rod Class tractors closed the show, with Randell Moody scoring his second win in a row, aboard the 'Ridge Runner' entry. Donny Mayo pulled to the runnerup position, with two wild rides aboard his 'Blackfoot Squaw' tractor. John Kiemele finished on the podium, with a third place finish aboard his 'Dodge This' tractor. Ken Langham Sr. finished in the fourth position, after a wild ride resulted in an out-of-bounds pass that scored a DQ on his second attempt. Ken Langham hangs on during a wild ride aboard the Bonham Service Center tractor. Donny Mayo reels in the 'Blackfoot Squaw' tractor on a tricky track in Barlett. Jerry Toland pilots the 'Dodge This' entry of John Kiemele during the Old Town Festival pull. Randell Moody takes the 'Ridge Runner' to victory at the Old Town Festival Tractor Pull in Bartlett. The Texas A&M Aggie Pullers were on hand with two tractors, which the team entered as exhibition pullers. The collegiate tractor pulling team put on a great show, scoring a Full Pull among four pulling attempts. The A&M team will compete in 2015 in Peoria, Illinois, during the ASABE International Quarter Scale Tractor Student Design Competition. Visit the www.LSGTPA.com webpage for the remaining LSGTPA 2014 events. 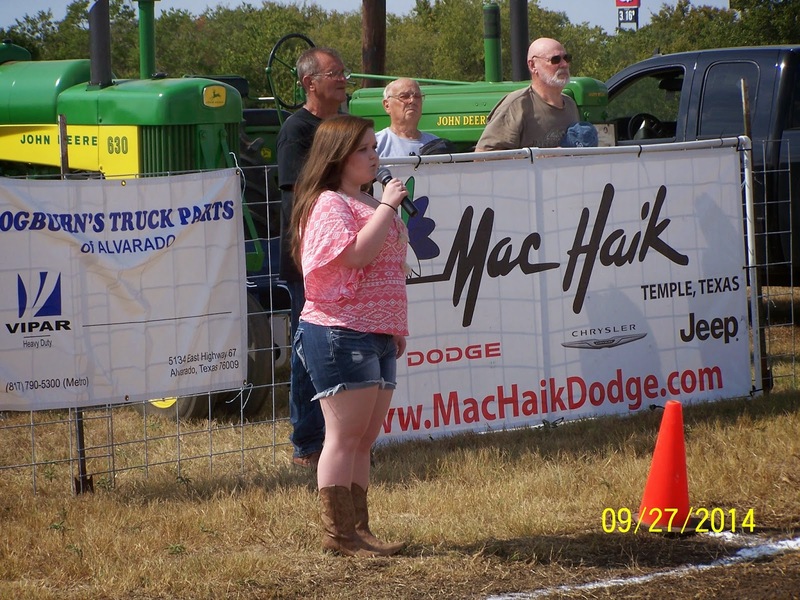 The LSGTPA tractor pulling teams will be preparing for the next stop on the 2014 pulling schedule, which will be the old Katy Railroad stop of Bartlett Texas, on Saturday September 20. The annual Old Town Festival event in Bartlett, will feature the LSGTPA tractor pulling teams on the seventh stop of the 2014 season. Pullers from throughout the state will converge on Bartlett, for a high noon shootout, at the LSGTPA pulling track located at 501 South Dalton Street (Bartlett, Tx 76511), next to the Dollar General. Check out the www.LSGTPA.com website for event details. Visit the Williamson County Historical Commission web page, Williamson County Texas Historical for more interesting historical info on Bartlett. Bartlett's Old Town Festival is Saturday September 20. The annual event includes a parade, BBQ cookoff, washer tournament, garden tractor pull, nursing home block walk, bbq lunch, and street dance. The parade will begin at 10 AM after a flag-raising ceremony in front of the city hall by the Fort Hood Color Guard. Arts & Crafts booth and food vendors will set up downtown. The block walk will start at Will O'Bell Nursing Home at 8 AM and will cover 5 blocks. The washer tournament will be at the Old Lindemann Welding Shop at the corner of Bell & Front Streets. 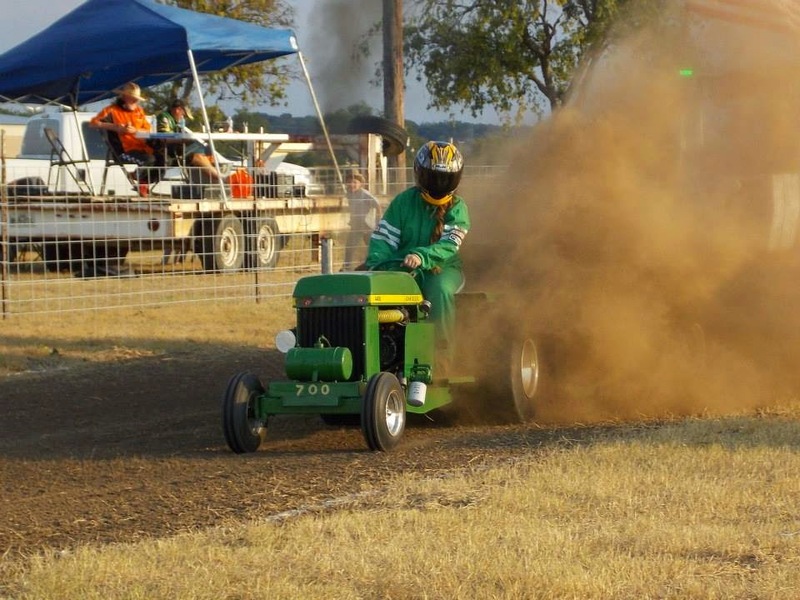 The Lone Star Garden Tractor Pullers Association will set up near Dollar General. The barbecue lunch is sponsored by the Bartlett Activities Center and will be served at city hall. The meal will be served from 11 AM to 1 PM at 140 W Clark Street. It includes brisket, sausage, potato salad, beans, and iced tea. Takeout plates are available. The street dance features the Mark Richey Band and will be held downtown beginning at 8 PM. Entry forms are at Forms or call the Chamber of Commerce at 254-527-4433.